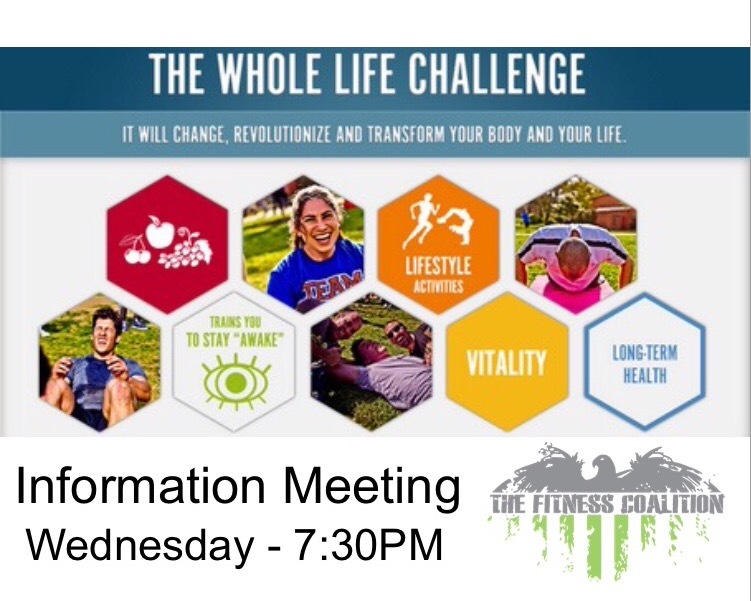 This evening at 7:30PM we will have our Whole Life Challenge information meeting. We’re going to cover all aspects of the challenge. And, so much more stuff! If this is your first challenge we highly recommend you show up for this meeting as there will be a lot of information discussed that will help you during these next 8 weeks. Make sure you guys bring any and all questions and BRING THE ENERGY tonight! B. 10-15 Minutes of Focused Mobility Work – identify greatest areas of need and work with coaches on mobility work that will best address those areas.